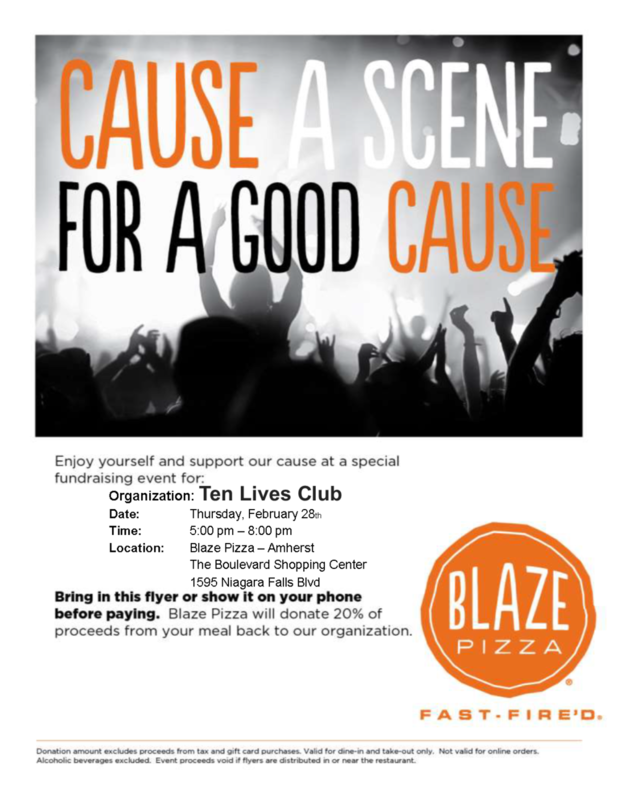 Let Blaze Pizza in Amherst take care of dinner for you while you help cats and kittens in need! Sounds like a win-win to us! And trust us, their pizza is delicious. Show the event flyer below when cashing out and Ten Lives Club will receive 20% of the bill from your purchase! You may either show a printed or digital copy when cashing out. *Please note- We are NOT allowed to distribute flyers on-site the day of the event. Please refrain from handing out flyers on-site so that we are not disqualified from receiving funds.